I wouldn’t say I do a major Spring cleaning because I do several deep cleans throughout the year, but I do love to have my house totally clean and organized before the kids get out of school for Summer. This is the perfect time of year for me to declutter, clean, and organize my whole house because once Summer comes I know it won’t get done. 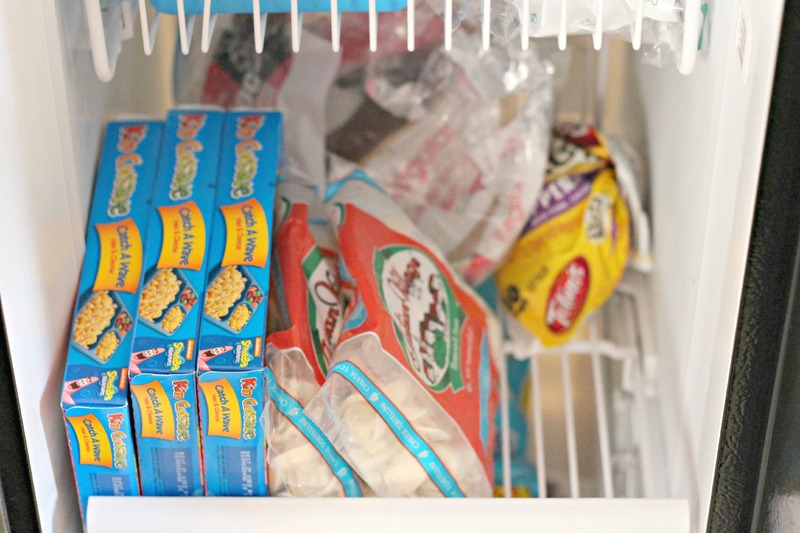 Let’s talk about freezer organization today. 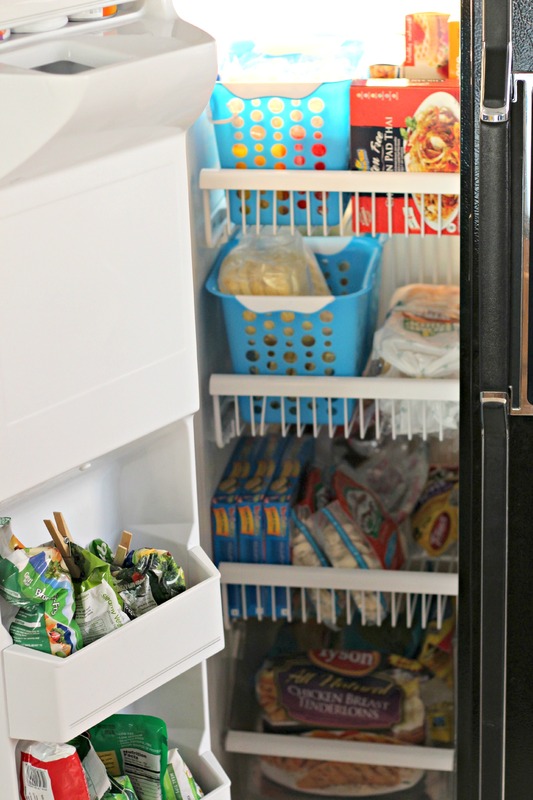 There are many different sizes and styles of freezers so there are many different ways to organize them. 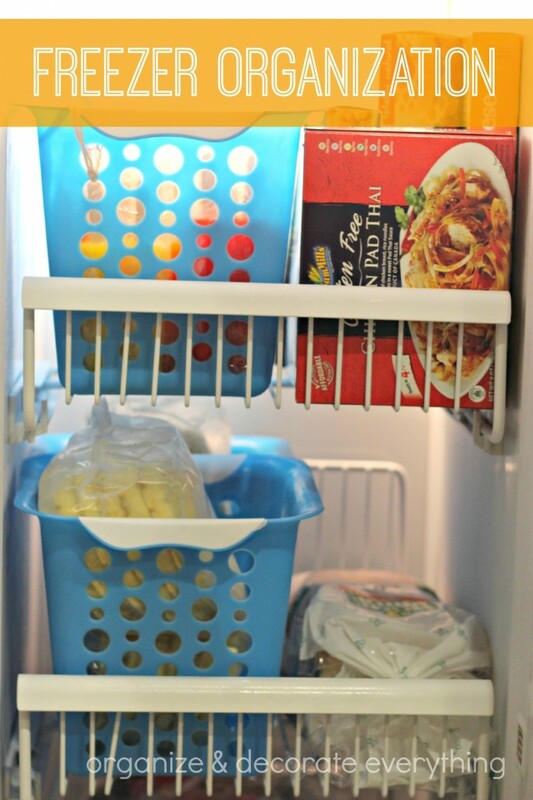 I’m going to share with you some general rules so you can get your freezer organized once and for all. Keep Like Things Together – I have Celiacs disease so the top shelf is for my gluten-free food. My things are kept separate because of cross contamination and so my food doesn’t get eaten by mistake. It’s too expensive to be eaten by everyone when it’s not necessary. Although my youngest son also has a gluten intolerance so we eat the same food now. Make Things Easy – The front basket holds popsicles, otter pops, creamies, etc. Sometimes those things, especially the otter pops, can be hard for kids to open. I attached small scissors with yarn to the basket so they could easily open the packaging and the scissors won’t get lost. I’ve been doing this for years and it has probably saved me from opening thousands of otter pops. 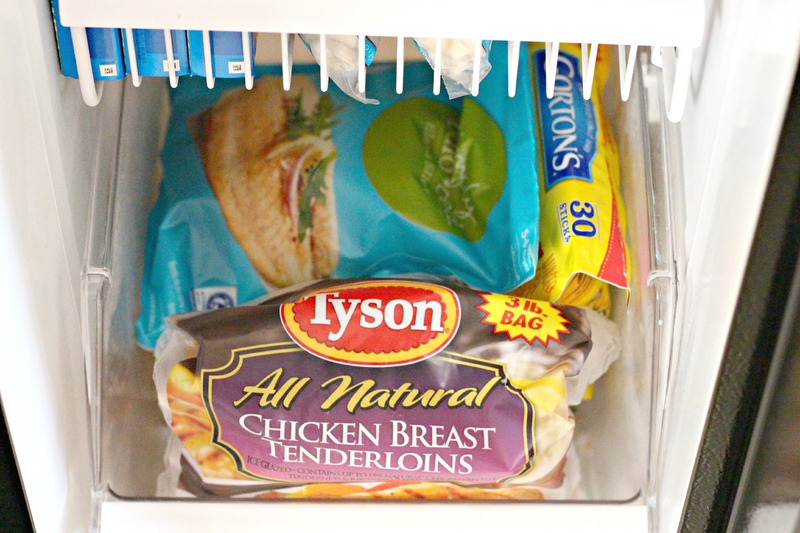 Save on Room – Take food out of packaging that take up valuable space. My kids eat a lot of frozen waffles for breakfast. I take them out of the packaging and place them in a basket to save on space. Hubby makes pancakes and french toast on the weekend. I place the leftovers in sandwich baggies and store them in a basket for quick breakfasts. I purchased my baskets at Dollar Tree so I only spent $4 in total. Store Vertically – It’s much easier to find what you need and to retrieve it if it’s vertical instead of begin stacked on top of one another. 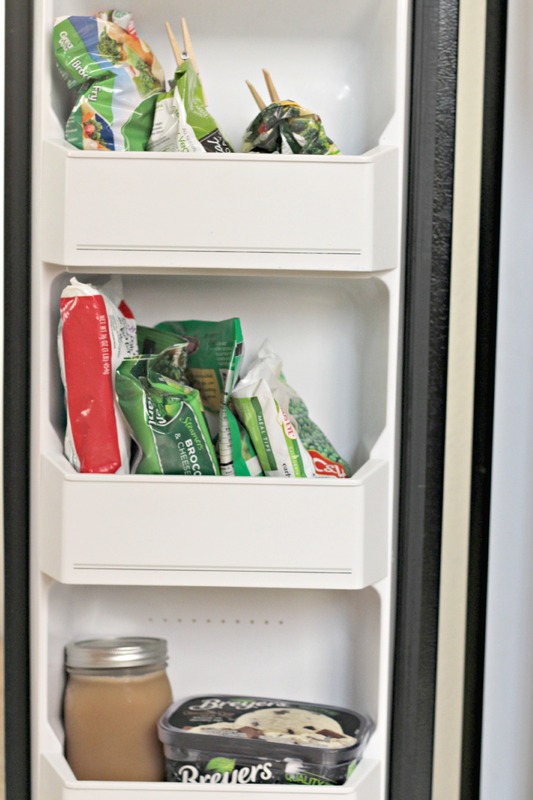 There are a few foods that can’t be stored vertical so make sure they are stacked on the bottom. 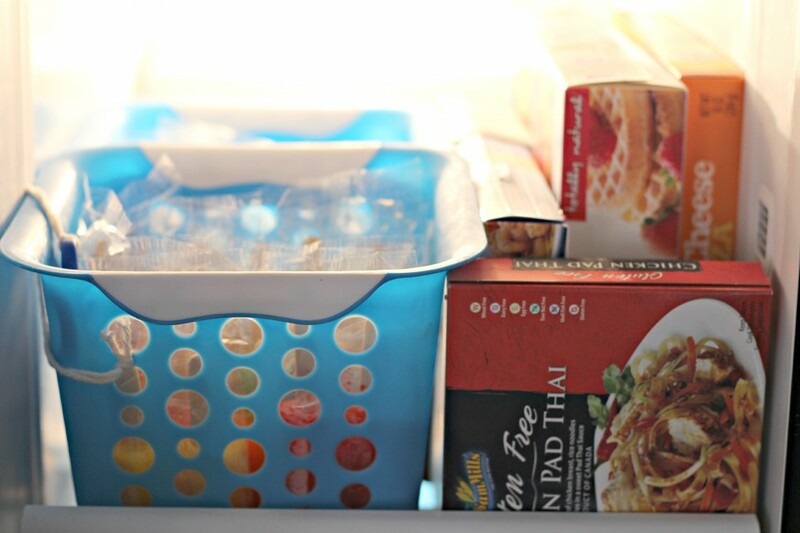 The 3rd shelf holds quick and easy meals (meals the kids can even prepare for themselves). Rotate Food Items – It’s easy for food items to get overlooked and then expire if you don’t stay on top of it. Make it a habit to rotate food on shopping day. As you unload the groceries rotate the food items so the oldest items are in the front. Also, I store meat and fish on the bottom shelf, I worry about the freezer defrosting and meat juices getting on the other food. I will also use a sharpie marker to write the date on a package that is opened but not all used, before I place it back in the freezer. Keep It Contained – Use baskets to contain like items and use the shelves on the door to hold the things of appropriate size. Keep similar things together so they’re fast and easy to find. As you can see I use simple clothespins to keep the food bags closed once I have folded them down. Keep It Clean – Sometimes spills just happened. Wipe up spills as they occur so they don’t get on other containers and spread to the whole shelf or the one below. You can also use mats or shelf liners that can be cut to size, to put on the shelves. Stay on Top of It – It takes only a few seconds to place something where it really belongs. It will take you at least twice as long to rearrange everything later. 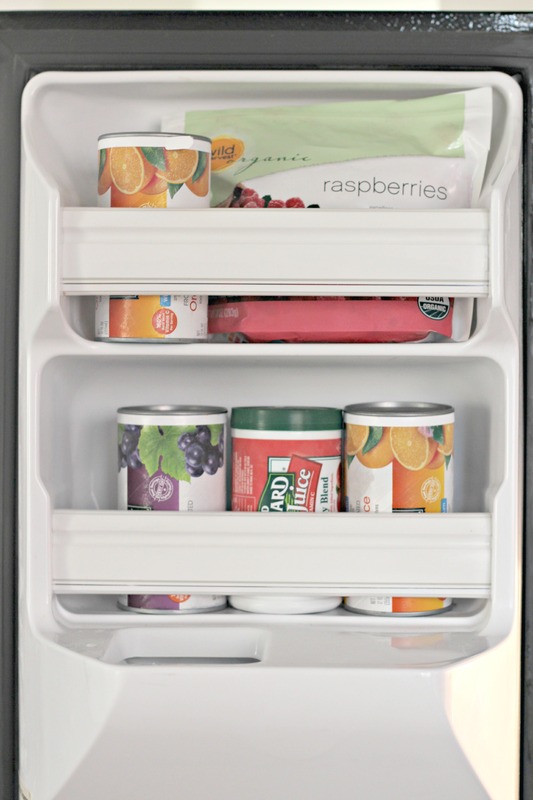 By having a place for everything, it is easy to see what you need before you head to the grocery store. Although I don’t use labels in the freezer. They are a great option if they will help you keep things where they belong. 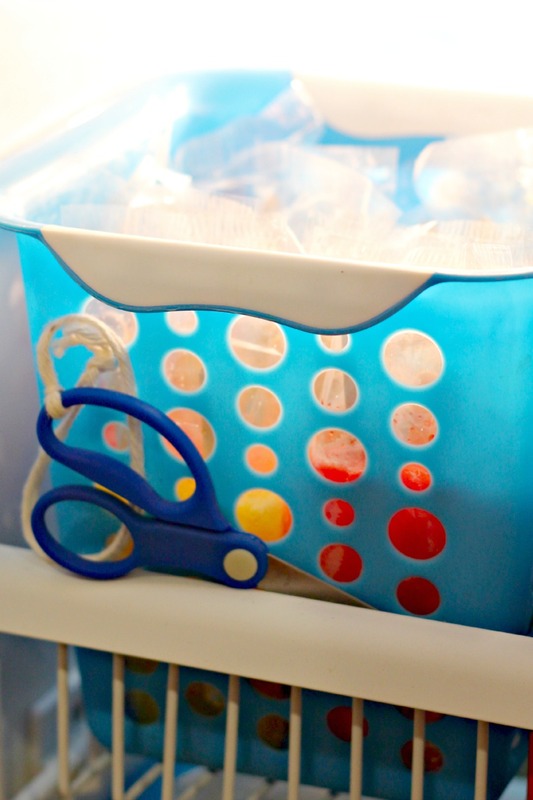 I love the scissors next to the popsicles! Brilliant! Where did you get the blue baskets from? You are a mind-reader! I’ve been meaning to re-organize my freezer(s) and I’ve been SO frustrated with my lack of creativity. Thank you so much for being awesome. I’ll be making this happen ASAP! The blue baskets are from Dollar Tree. I think they have some in stock right now. Just remember to keep pizza horizontal. Toppings will slide off. 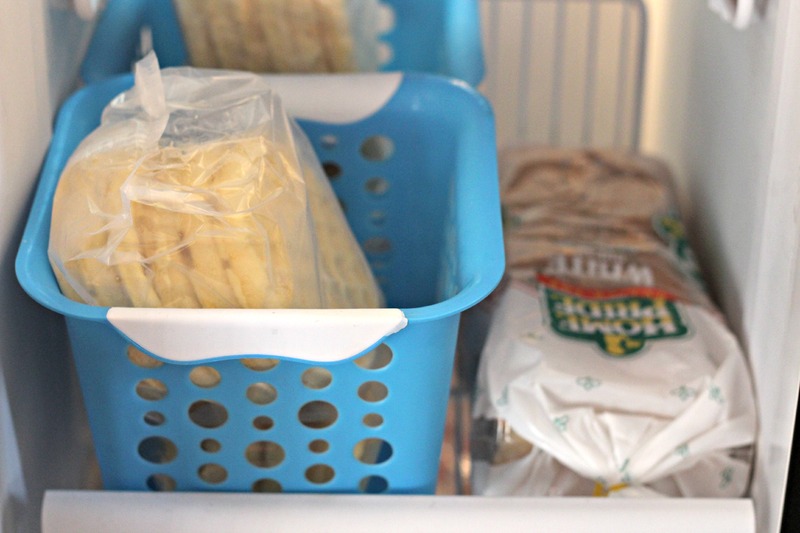 Been looking for baskets – I’m off to Dollar Tree & I’ll check the other dollar stores too! You know, I got some bins for my fridge, and that didn’t work well for me…for some reason. I think it could work in the freezer though…thanks for the idea! I put some baskets in our pantry after reading you pantry organizing post. Never thought to put them into the freezer. And the scissors next to the Popsicle is genius! Great tips!! Thank you for sharing! This is brilliant! I was just cursing my freezer organization the other day.